As of this week I am officially a student at Berklee School of Music – and that’s not something I ever expected to be saying! I’m enrolled in their Music Theory Specialist program, as an online course of study. It’s the first time I’ve done formal, structured online learning, and I’m very interested to see how well the class interaction and live events work. Also whether I can successfully fit it around my day-to-day schedule which recently is particularly busy and unpredictable. So why am I studying music theory? Well, there are two reasons, both of which I feel a little awkward admitting to. But what better for the inaugural post on a newly launched blog than some embarrassing confessions? First confession: I didn’t take music as a subject at school, just instrumental lessons. I’ve never taken a theory exam. 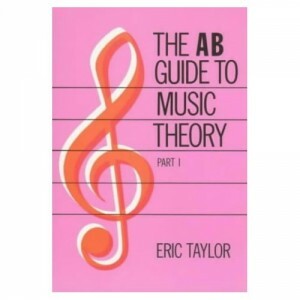 I have accumulated a lot of theory knowledge over the years (and especially in the last year or so as I’ve been doing more ear training) but I have this suspicion that there are big areas I simply don’t know about; and probably should! Second confession: It’s to give me confidence. Both in terms of having really solid music theory (which I think is incredibly liberating as a musician, improvisor, or arranger) and for the sake of having a real qualification from a respected institution. However dedicated and enthusiastic an amateur musician you might be, it’s hard not to feel intimidated when talking to ‘real’ musicians – i.e. those who’ve studied music formally to a high level. This course will hopefully be a step towards closing that gap for me. I’m really excited to get started. Even though it’s nothing like auditioning and then being an in-person student at Berklee College, I’m proud to be attending in some sense. Based on the syllabus I’m hoping to find my first course, Music Theory 101, quite straight-forward, but I’m really not sure. To put myself under a bit more pressure and get another chip off my shoulder, I’ve also registered to take my Grade 5 Theory exam in November: the standard exam that all serious music students take at school in the U.K., which I somehow managed to weasel my way out of! Again, I’m hoping the material won’t throw me for too much of a loop, but you never know until you dive in. I’ll be posting a bit here about my experiences studying music online and any awkward theory shenanigans I encounter along the way. If you’ve studied a lot of music theory, or have experience with online learning and have tips to share – drop me a line!